When it comes to Mexican fare in Greenville, all eateries are not built the same. At our Mexican Restaurant, we bring Mexico to you, Papa's & Beer believes in quality ingredients prepared in traditional Mexican fashion to bring you a truly authentic meal. There’s something for everyone to love. We consistently strive to stand out from other restaurants. 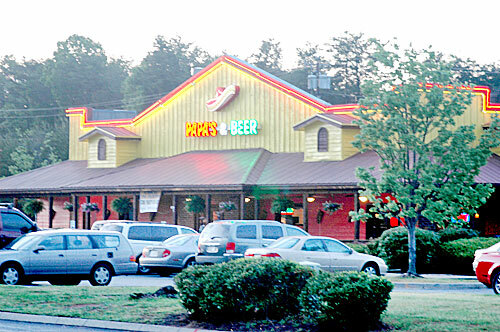 Papa's & Beer is a great destination for friends, couples and families. Come in today to check out our lunch specials or stop in a little later during happy hour for one of the best margaritas in town! Papa's & Beer offers fresh, authentic, Mexican Food at an affordable price. Our newly expanded menu has over 20 new authentic Mexican dishes to choose from, including 5 delicious lunch specials such as our Chile Verde Burrito and our Fiesta Salad! Dinner to dessert, we know that your family will have an amazing experience and even better food. There’s no doubt that we are a top restaurant in the Greenville, SC area. So, sit back, relax, and let us share our culture with you.